Lull and his friends want what every kid their age wants - to feel no different from anyone else. But even lunchtime becomes an isolating experience when they realize their meals are no match to the fancy snacks the rich kids bring from home. Find out how this determined group uses their creativity, business savvy and determination to get what they want - including some admiration and acceptance along the way. Lull Mengesha is an Ethiopian American author who was born in Khartoum Sudan. His family immigrated to the US when he was a child. He attended Rainier Beach high school in South Seattle and attended The University of Washington to study Economics for his undergraduate degree as well as receiving his Masters in Science in Information Management. 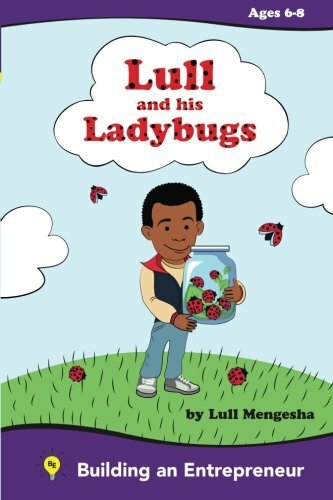 Since publishing The Only Black Student, Lull has had the opportunity to engage with different high schools and colleges locally and internationally. His focus is helping students navigate the social, cultural and academic settings of college environments.